While the cards may not seem monumental today, 1939 Play Ball Baseball was the beginning of a shift in the hobby. A larger size and clearer photographs offered card collectors more and the industry began to grow as a result. Had World War II not intervened, 1939 may have been seen as a starting point for the modern hobby era. That year saw the first baseball cards from a company that would later become known as Bowman. Gum, Inc. was founded by Warren Bowman around 1930 in Philadelphia. Despite the economic issues brought by the Great Depression, Gum, Inc. grew each year. The company first entered the card business in 1938 with Horrors of War, which was considered controversial because it showed graphic images of war scenes. 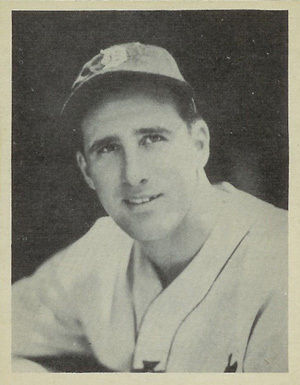 It was such a success in terms of sales, Bowman decided to get into the baseball card business the following year with the release of 1939 Play Ball Baseball. 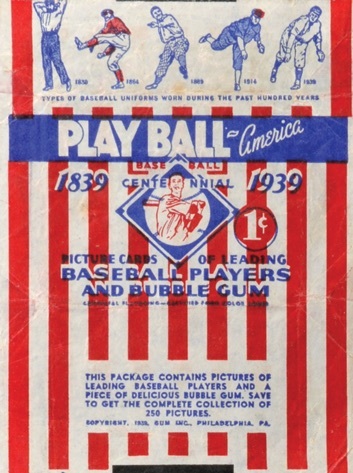 In 1939, no other gum companies were actively releasing regular baseball card sets. That immediately gave Gum, Inc. a boost and established the upstart company as a leader. Naming the set 1939 Play Ball - America, the cards were made to be slightly larger than what Goudey had been issuing earlier in the decade. Issued in baseball's centennial season, the set is designated as R334 in the American Card Catalog and features a simple design that utilities crisp, black-and-white photographs of the player and no other elements. Measuring 2-1/1" by 3-1/8", the cards are adorned with only a white border. Between Gum, Inc. and their later sets under the Bowman name, the company would return to this design concept often (1939, 1948-1950, 1953). The backs feature the player's full name and an extensive biographical write-up. At the bottom, an advertisement mentions that there were 250 cards in the set, which is incorrect. Although the full set is numbered to 162, in reality, there are only 161 total cards. Card #126 was never issued and was thought to be a purposeful decision in an attempt to keep people purchasing to complete the set. 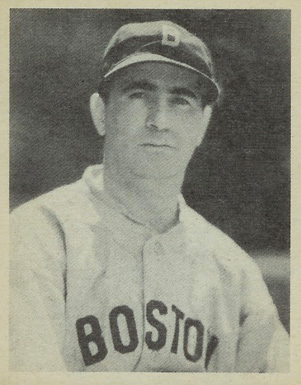 Approximately half the cards in 1939 Play Ball also have variations. The majority of the variation cards feature the player name either entirely in capital letters or in capital and lower-case letters. The rest simply update errors. 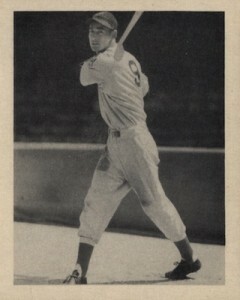 1939 Play Ball Baseball cards #115 and above are considered high numbers. They are significantly more scarce and therefore more valuable. 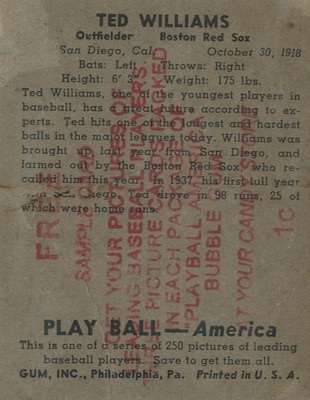 In addition to the variations, sample cards are occasionally found and are stamped on the back. These cards were inserted into packs of other Gum, Inc. products as a cross-selling promotion and are quite limited. The set features most of the stars of the era. 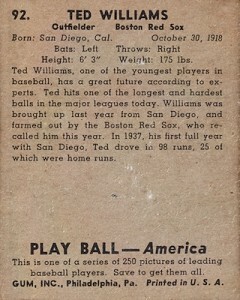 Among them are a rookie card of Ted Williams (#92) and a popular early card featuring Joe DiMaggio (#26). 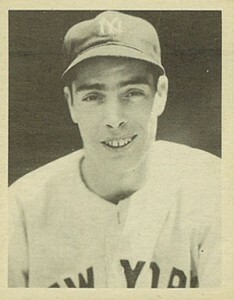 Earl Averill (#143) is the only Hall of Fame subject included in the high-numbered series, so his card is given a boost in value that might not otherwise be attached to his cards. 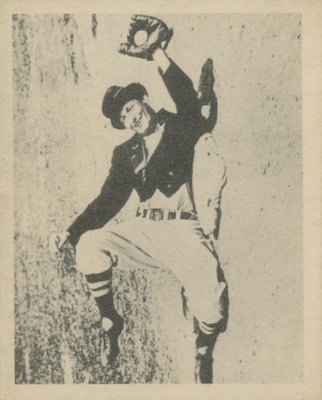 An interesting card in the 1939 Play Ball Baseball set features Al Schacht (#113) clowning around which was fitting as he was known as "The Clown Prince of Baseball." Schacht was a former player and coach who eventually became a comedic entertainer, performing for the audience in the same manner as Max Patkin did later on and mascots still do today. A favorite among pre-war collectors, the only critique most collectors have of the 1939 Play Ball Baseball set is the omission of several key Hall of Fame players, including Lou Gehrig, Ernie Lombardi, Johnny Mize, Joe Cronin, Luke Appling and Bob Feller. Despite that oversight, there are still plenty of marquee players to pursue. For those attempting to complete a higher grade set, the most noticeable condition issue is centering which was very common for the time period. Perfectly centered examples command a significant premium on the secondary market. This is particularly true for the key cards in the set. 1939 Play Ball Card Hal Schumacher #73 VG-EX!! 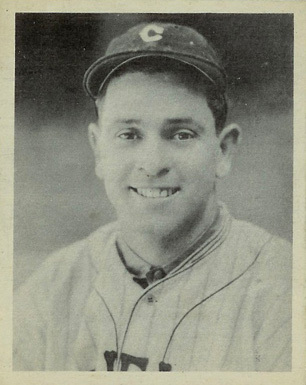 1939 Play Ball Card Goody Rosen #76 VG-EX!! 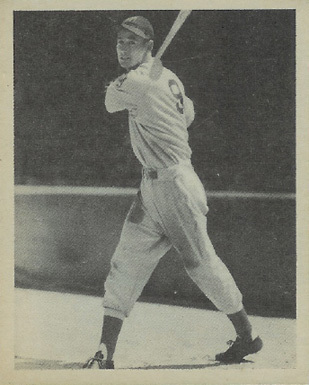 1939 Play Ball Card Lew Riggs #77 VG-EX!! 161 cards. Card #126 does not exist. Shop for base cards on eBay.